Happy middle of the week, everyone! I hope you are having a great one! 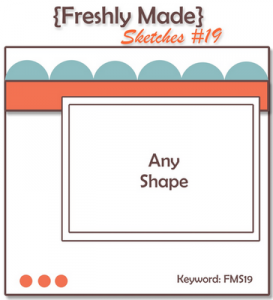 I have this week’s great sketch from Freshly Made Sketches for you and it is another winner! This one comes from the super talented Jen Mitchell of I Create. 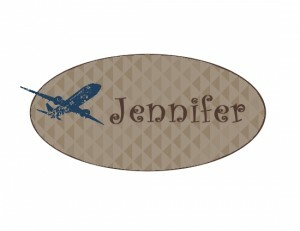 She is one of my favorite stampers. Her clean lines are always striking. Her tone on tone layering always makes me say wow! Make sure you check out her card for this week’s sketch…it is fantastic. I went with a decidedly spring palette for today’s card. I just love Pear Pizzazz…not too olive, not too pale, just right! This fun print from Twitterpated DSP just seemed to call out to me. Of course, out came my new Bordering on Romance again. This little flower is just the right size for the sketch! I stamped it in Stazon Black, then watercolored with my Blender Pen using Daffodil Delight, Riding Hood Red and Pear Pizzazz. The sentiment is from the hostess set Precious Butterflies…love this one! I added a border created with the Adorning Accents Edgelit and some Basic pearls on the flowers and in the corner. I have to say that this card just makes me happy! So the test went really well (96%) and I am on to the next phase of training tomorrow. We start flipping switches and running procedural checklists in a mock-up of a cockpit. I always like it when I get to start doing more “pilot” stuff and less classroom stuff. There is still classroom to go, of course, but the trainers are one step closer to the simulators. I hope to be back early next week with a card I made before coming to training. Until then, make sure you go enjoy the cards created by the whole design team. As usual, they are incredible! Thanks for stopping in today. See you again soon! I love your Spring colour choice! Fresh and pretty! Yes, I agree with you, Jen rocks! Congrats on your test score! That is AWESOME!! Love the black edges on this card. Beautiful! Great card! I love how you interpreted the sketch! Really pretty! I want to change my name too! 🙂 Jen’s are amazing stampers! I love the spring feel to this one! Pear Pizzazz is my favorite green, so I will cry when it leaves. Congrats on your awesome test score. Beautiful card!! Congrats on the test!! It’s the “other” Jen just popping in to say “WOW!” Your clean lines and beautiful colors really make the fabulously colored image come right off the page! Thanks for your kind words and a big congrats for your super test score!! Gorgeous card, so clean and crisp. The black really makes it pop. Congrats on the fantastic test result. Beautiful card, very spring like :). Congrats on the test. So so pretty Jen … I love these fresh spring colours and your clean styling is just divine! Congrats on your test too … that’s awesome! This is simply gorgeous – the black matting makes everything pop so beautifully. Your clean lines are pretty impressive too Jen! I love the little sprig on your main panel and the colours you used for it. I’ve just been catching up on your return to United Airlines too and it sounds like the training’s going well! Using the touch of black just makes this card sing, Jennifer! I love Pear Pizzazz, too, and am really going to miss it come June 1st! Congrats on your test score, Jen! Woohoo! Love the card–it’s just so pretty and, well, restful.